I bought some before christmas, and they are wonderful when the power goes out! They are real bright! So wanted 1 for each room!!!! 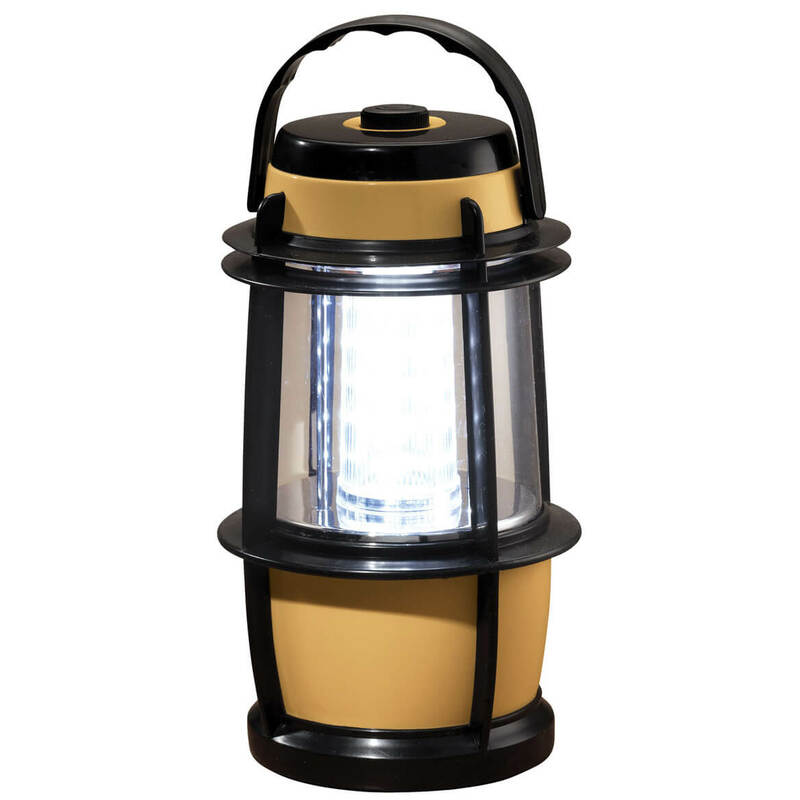 For power outages or even low-light area this portable lantern is ideal. Just what I needed,and price was right. I like to have a good lantern on hand in case the power goes out. Great lamp for the backyard picnic table/barbecue. I am a senior living alone and when the lights go out, it is imperative that I see so I can transfer my oxygen source from the home concentrator to the portable tanks. The other sources of these types if lights charged half of the merchandise worth in postage and handling. Ridiculous! If this works, will buy another one! We often have power outages in the NW and I purchased these for my daughter, we have several for ourselves. lights went out last nite, flashlight wouldn't work. My sister has something similar..had to have one too. We have power outages with big storms in our neighborhood, and this will be an extra auxiliary light for those occasions. A friend of mine recommended this product. I need a good night light for convenience. It is for when the lights go out and use as a flash light. It works wonders. To have in case of power outage. Got to have in case needed, as it has not been, better than a flash light! I like these LED Lanterns. Electricity goes off from storms, etc, they come in very handy. Just to have when needed. I chose this item, because I don't have any light in my room to read. Thanks for having this, I just hope it has enough light for me, I been searching for a light to cover my entire room. Bought the lantern to have on hand when our power is out. I am happy to have it as I can do whatever needs to be done during the time I wait for the power to be returned. I chose these lanterns to use for any electrical blackouts during any storms, I just received these today and tried them out with new batteries and they are very bright and you can adjust the light level to where you want it. They are good if you have to go in dark places where there is no light too. They are reasonably priced. in case of emergency, I can use this. I already purchased on of these & have used in through two black outs, three blizzards this winter with blinding snow & have been incredibly impressed with light it give off, the durability & it's reliability. This is a top notch product & I would recommend it to anyone. I am adding two more to our household. How many of what size battery? BEST ANSWER: Thank you for your question. It runs on 3 D batteries which are not included. We hope this information will be of help to you.